Rosa Lee Byrd, 87, of 1105 Reedsford Road, passed away Tuesday, February 12, 2019 at Mary Gran Nursing Center. Funeral service will be held at 11 AM, Friday, February 15, 2018 at Rowan Baptist Church with Reverend Clay Carter and Reverend Mike Shook officiating. Interment will follow in the church cemetery. The family will receive friends from 6 PM – 8 PM, Thursday, February 14th at Crumpler-Honeycutt Funeral Home and at other times at the home. Rosa Lee, born in 1932 in Sampson County, was the daughter of the late William Love Autry and Rosa Bell Tew Autry. 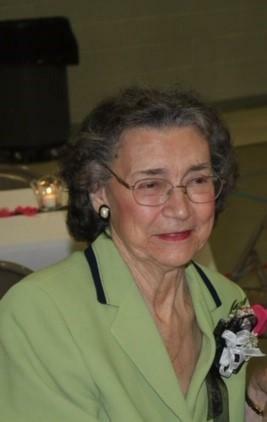 She was a homemaker and along with her husband, a devoted member of Rowan Baptist Church for many years. In addition to her parents she was preceded in death by her husband, Edward Odell Byrd and daughters, Annette Nelson and Dixie Ezzell. Survivors include; daughters, Connie Greeson (Vance) of Pikeville and Teresa Hovatter of Kure Beach; grandchildren, Lisa Wheeler, Joanna Farris, Heather Beasley, Vanessa Spiron, Jonathan Greeson, Tiffany Hovatter, Kensey Balchin, Will Hovatter, Christina Nelson, and Isaac Nelson; and eight great-grandchildren. Online condolences may be made to www.crumpler-honeycutt. com.